Livestock Management | Location Running. Changing legislation in Europe from 2012 requires livestock to be accommodated in natural groups of animals. As a consequence farmers are faced with the challenge to still obtain individual management data to ensure health and wellbeing of their livestock. Monitoring the health of individual animals to enable group accommodation while decreasing medication levels, increasing meat quality and improving farm profitability. Generic platform solutions still require vertical-specific aspects for solving a particular business problem. 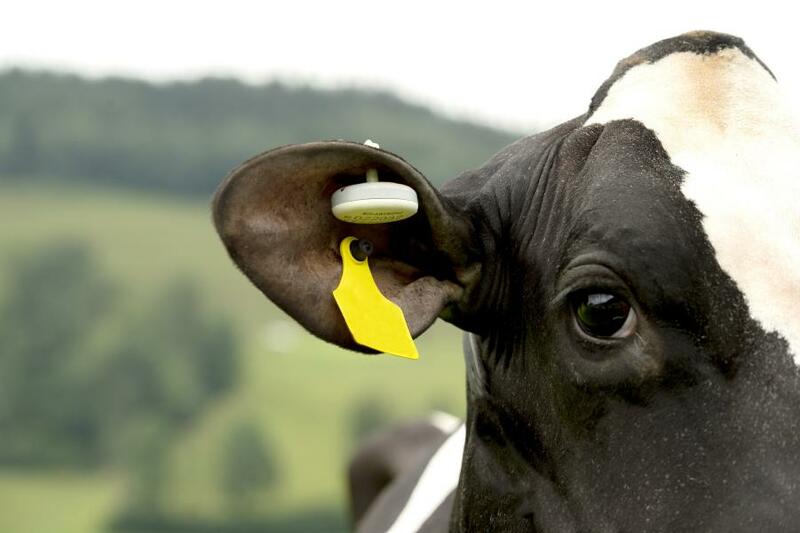 In Livestock for instance ear tag batteries are required to last more than 6 years to avoid switching tags during the lifetime of a dairy cow. Tags and location infrastructure need to survive in extremely harsh and aggressive environments. With the appropriate equipment farm animals can be continuously tracked. Correlating individual movement pattern with the health condition of a specific animal provides health status information in a seamless and unobtrusive way. The result: Higher quality milk and meat at lower cost – hence increased productivity. 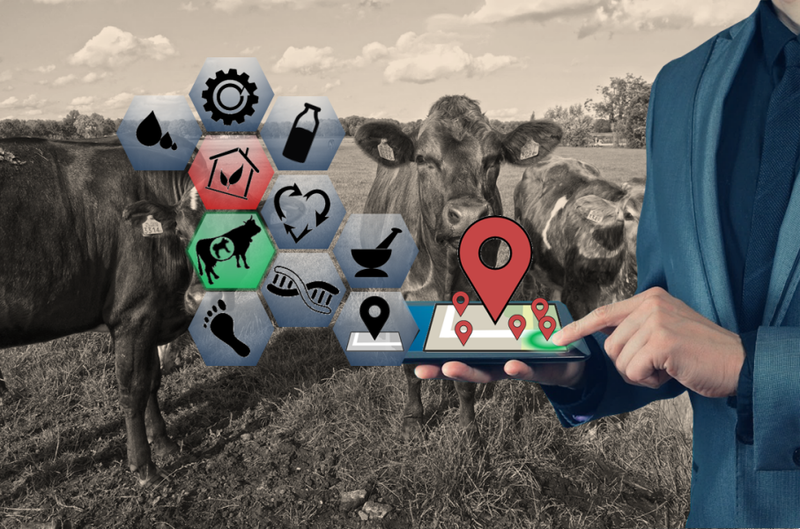 Sophisticated real-time tracking technology for location-awareness and location data analytics create a quantum leap in terms of business outcomes for farms. With the Real-Time tracking technology locates tagged animals and this way monitors their whereabouts and movement pattern 24/7. Data – for instance sensor readings or tag settings – can be exchanged both ways from the tag to the location server and from the location server to the tag. The location infrastructure consists of anchors connected to the location engine and server. Signals from individual ear tags are received by the location infrastructure. This way the physical location of each animal at any given time along with individual sensor data from the ear tag is constantly monitored and post processed for subsequent decision trees.